Comprising a full range of tableware products, the D&V brand by Fortessa delivers creativity combined with leading strength and affordability. D&V offers economy, quality and a spectrum of innovative design options in all ranges of glassware, dinnerware, flatware and metal ware. Everyday doesn't have to mean ordinary. Color, shape and texture are the ingredients D&V uses to feed your mood and inspire your tabletop. Surprisingly affordable and delightfully creative, D&V lets you express yourself with attractive design and smart value. The Gala collection adds color contrast to your table with vibrant goblets and barware. It features vintage and classic glass designs in a variety of opaque and translucent colors for your table. These glasses are 100% dishwasher safe and sought after and used by restaurants and serving establishments worldwide. 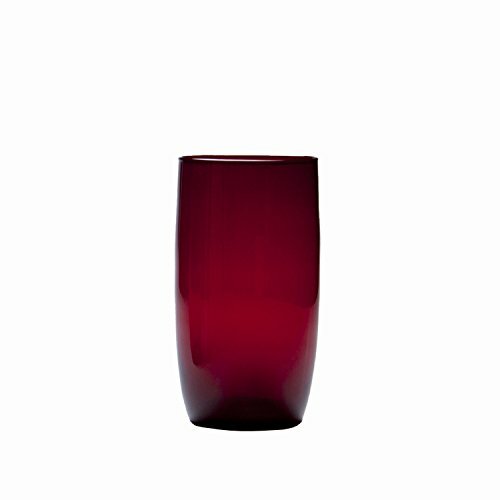 D&V Glass Gala Collection Iced Beverage/Cocktail Glass 19 Ounce, Ruby Red, Set of 12. If you have any questions about this product by D&V, contact us by completing and submitting the form below. If you are looking for a specif part number, please include it with your message.